Aorus is upping the stakes in the RTX 2080 Ti market by bringing its WaterForce treatment to Nvidia's premier card. 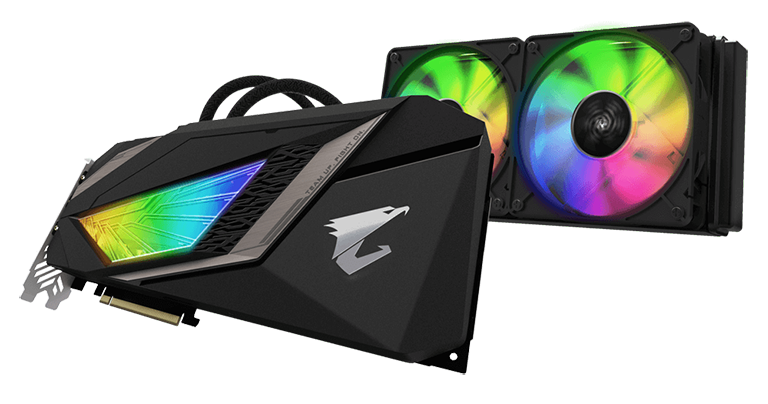 Featuring an all-custom design with 19 power phases - 16 for GPU, three for memory - and hooked up to an Asetek-designed 240mm radiator equipped with a couple of 120mm RGB fans, this 2080 Ti Xtreme WaterForce 11G model (GV-N208TAORUSX W-11GC) adds in further customary RGB bling on the shroud, metal backplate, and side. 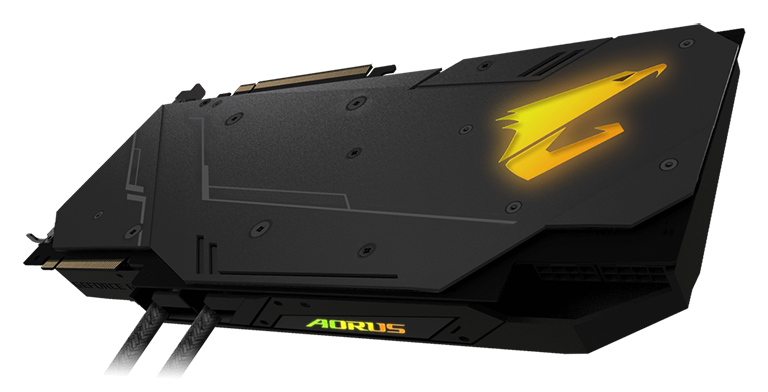 Aorus says it has the size of the copper baseplate while having dedicated heatsinks for memory and Mosfets. The upshot of this work is to increase the GPU boost clock from the reference 1,545MHz to 1,770MHz, and even memory gets a slight uptick, rising from 14,000MHz to 14,140MHz. The out-of-the-box speed is similar to the best air-cooled designs, but we imagine anyone purchasing this card will push it further. Another change on this good-looking piece of kit is with the video outputs. 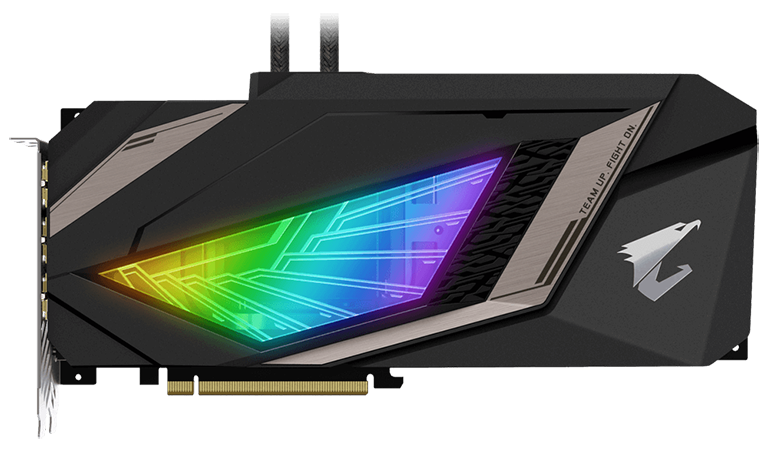 Reference RTX 2080 Ti GPUs ship with five digital outputs; Aorus adds a further two HDMI, meaning you can choose 3xHDMI + 1xDP + 1xUSB-C or 3xDP + 1xHDMI + 1xUSB-C for your monitors without any adaptors. As expected, power is sourced via dual 8-pin connectors, while removing the fans from the card enables a relatively small form factor, measuring 290mm x 131mm x 40mm. There's no word on UK pricing, but we'd be surprised if you got much change out of £1,500, such is the state of play at this end of the market. Oh that's easily going to cost £1700 upwards…. I tried to con them with my scarred and diseased left kidney but they demanded the right one. So I gave them the right one and got a dialysis machine off the NHS. I wonder if they'll accept a right leg with an arthritic knee? I could always strap a fence post, with a roller skate on the bottom end, to my right side. what`s the going rate for grannies, anybody?